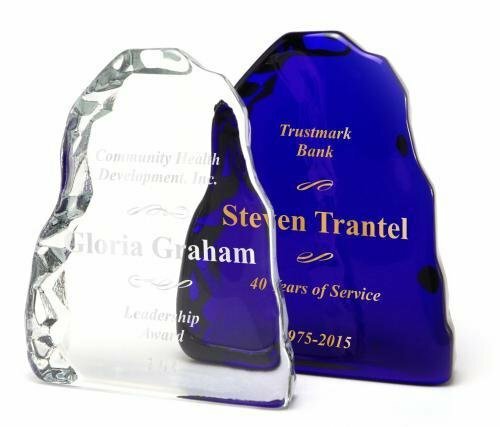 Cobalt blue or clear molded glass iceberg. Etched. Optional gold or silver color fill available. Made in the USA.